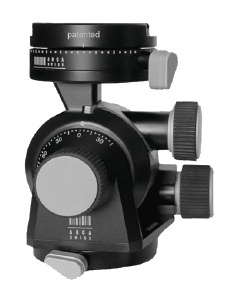 Cube C1 – The Cube is the undisputed flagship among tripod heads. Extremely robust and durable, it enables extremely fine corrections with absolutely intuitive operation thanks to its self-locking gear. 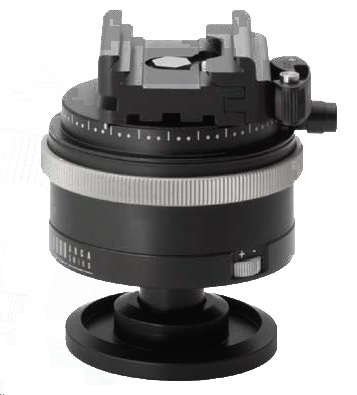 D4 Series– The geometry of the 3D tripod head has been rethought for the D4 3-way pan head. The x- and y-axes can be operated separately or together. The centre distances have been reduced, the pivot points are closer to the centre than those of the competition. Z Series – This monoball is superior to all other ball heads. When you open a normal ball head, the ball head tilts with the camera on it immediately and instantly. Not so with a ball head from Arca-Swiss. The more a camera is moved off-center, the stronger the counter forces act. P Series – The monoball was turned upside down. Therefore, you only need one panorama for this construction, because the important panorama is always above the sphere. The locking knob has been replaced by a locking ring so that the ball head can be operated completely organically with one hand. p1 – The slightly larger p1 can easily carry weights up to a 8×10 “camera. 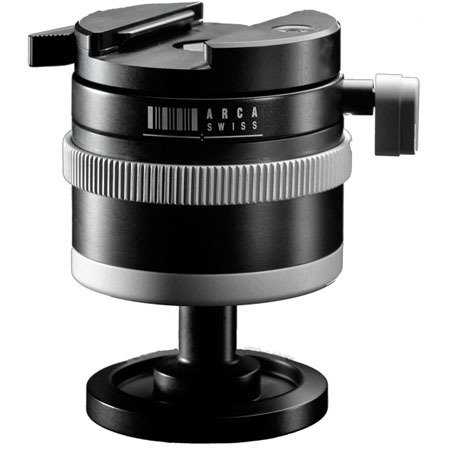 L Series – Micrometric 2-way levelling unit to align the camera directly on a tripod or in combination e.g. with a P0 ball head. Classic – The quick-release plate “Classic” is the original approximately 38mm wide. 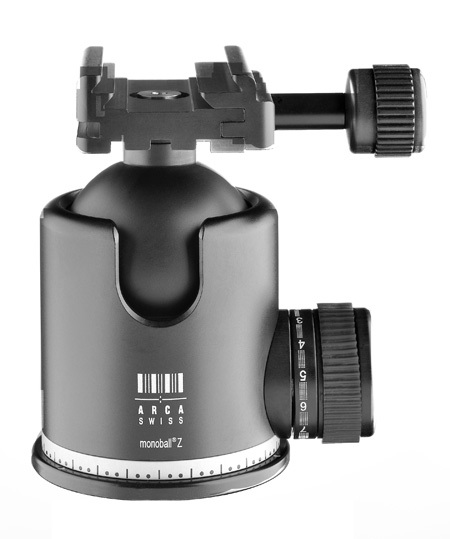 MonoballFix – The quick-release plate “Monoball-Fix” is the newer, more modern interpretation of the arca-swiss camera plate. It is smaller and lighter (only 26mm wide) than the “Classic” and therefore slightly more suitable for smaller compact cameras than the traditional camera plate. The AVENGER brand was born 20 years ago, answering to the need of the photo and cine markets of having a boundless product for any set. Product quality is the hallmark of this range, which can withstand extreme use, rough atmospheric conditions, very high stress and heavy loads. All products have been designed under the supervision of the most demanding film grippers to match the strict quality standards and performance needs of the motion picture industry. 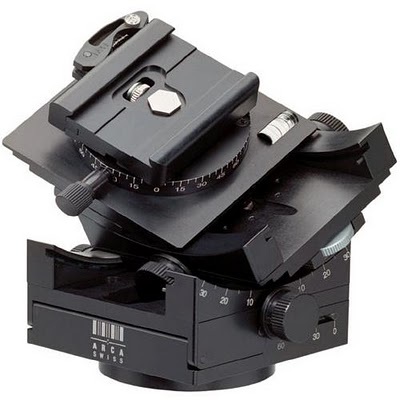 The range includes stands, clamps, couplers, light controls and accessories all designed to match the strict quality standards and performance levels required by the motion picture industry. Product quality is the hallmark of Avenger, which can withstand extreme use, rough atmospheric conditions, very high stress and heavy payloads. Based in Northern Italy at Bassano del Grappa, Gitzo has been working for over 90 years to design and produce the best possible camera accessories and supports using the simplest, most straightforward and elegant solutions allowing Gitzo to pioneer some of the most advanced and revolutionary technologies. Gitzo’s tripod range is designed to provide specific solutions and features for a variety of equally specific requirements and applications, but every tripod we make shares a common goal: to satisfy Gitzo photographers’ expectations of uncompromising performance. As a result, we have decided to focus solely on carbon tripods, which provide the highest levels of rigidity and the lowest weight. With the introduction of our new, stiffer Carbon eXact tube to the latest incarnation of our Mountaineer tripod family, Gitzo’s carbon tripods have evolved to an even higher level. Based in Northern Italy, Manfrotto designs, manufactures and markets a wide range of camera and lighting support equipment for the professional photographic, film, theater, live entertainment and video markets. The product line includes an extensive range of camera tripods and heads, lighting stands and accessories. Lowepro – The trusted leader in gear protection. Lowepro specialized backpacks, cases and camera bags have been an essential part of countless adventures through every climate and condition over the last 50 years. Our evolutionary designs elevate the way you carry, protect and organize your gear. Lightware – Strength and Protection Without Compromise. Equipment cases for photography, cinema, and much more. Minimum Weight, Maximum Protection. Nothing is worse that transporting your gear only to have it arrive damaged, broken or missing. Lightware gives you the peace of mind to know that the condition it leaves is how it will arrive. We also carry Pocket Wizard, X-Rite, B+W Filters and more. Call if you don’t see something on our website.